I’m always looking for excuses to bake. Lucky for me these winter-to-spring months have provided a few holidays to fulfill my quota. 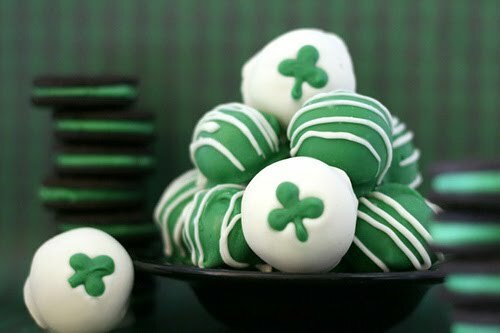 I usually save my oreo truffles for Christmastime, but one of my favorite blogs, bakerella, inspired me to create a St. Patrick’s Day version. I’ll add my finished product photos later. Happy St. Patty’s!